On June 1, 2018, the U.S. Economic Development Administration (EDA) published the Fiscal Year 2018 Notice of Funding Opportunity (NOFO) for the University Center Economic Development Program Competition for EDA’s Austin, Texas and Denver, Colorado Regional Offices. The Denver office serves Colorado, Iowa, Kansas, Missouri, Montana, North Dakota, Nebraska, South Dakota, Utah, and Wyoming. The Austin office serves Arkansas, Louisiana, New Mexico, Oklahoma, and Texas. This NOFO makes approximately $7.4 million available for the program ($2.5 million for the first year of awards under this competition). The purpose of EDA’s University Center Economic Development Program is to enable institutions of higher education and consortia of institutions of higher education to establish and operate University Centers specifically focused on using university assets to strengthen regional economic ecosystems that support innovation and high-growth entrepreneurship. University Centers collaborate with other EDA partners by providing expertise and technical assistance to develop, implement, and support regional strategies that result in job creation, high-skilled regional talent pools, and business expansion in a region’s innovation clusters. Expertise and technical assistance may address, for example, workforce training programs, applied research centers, technology commercialization, feasibility studies, market research, economic impact analyses training, and other technical assistance to help communities foster vibrant economic ecosystems. Since FY 2004, EDA has administered the University Center program as a competitive multi-year program, holding competitions in two of its six regional offices on a rotating basis. EDA encourages the submission of applications that will create and nurture regional economic ecosystems through science, technology, engineering and math (STEM) skill development, workforce training opportunities, applied research and development, technology commercialization, and targeted activities that cultivate entrepreneurship and improve regional economic development. Current Closing Date for Applications: July 15, 2018. 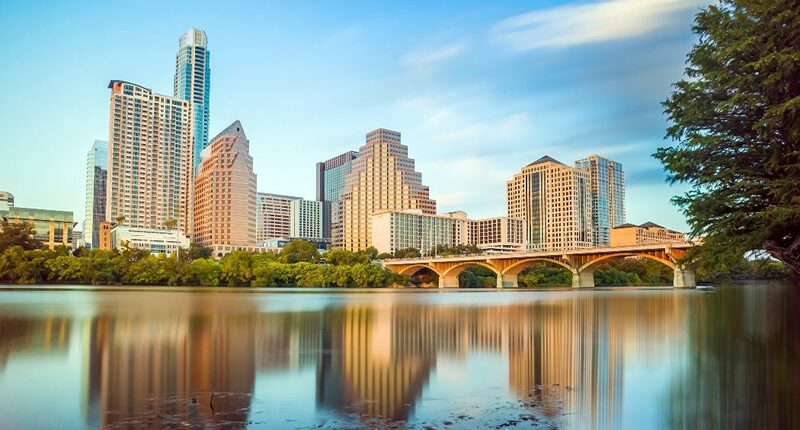 Photo of Austin via Adobe Stock. Apply to the Denver office solicitation on the Grants.Gov website. Apply to the Austin office solicitation on the Grants.Gov website. More info on the University Centers program here.